COMPANY PROFILE Angang Steel Co Ltd produces iron and steel and its products across China. The company is primarily engaged in steelmaking accounts and offers hot-rolled, cold-rolled steel products. It also produces medium plate and other steel products. Angang Steel is one of the top 10 steel producers in China. Steelmaking accounts for virtually 100% of the company’s revenue. The company focuses mainly on flat steel products (around 85% of production), namely hot-rolled products, cold-rolled products, and medium and thick plates. Other than that, it also produces some long steel products, namely wire rods, heavy section, and seamless steel pipes. Around 85%-90% of its products are sold domestically in China, with the remaining 10%-15% being exported. 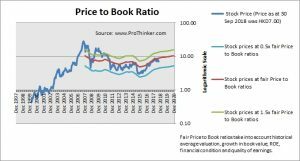 At the price of HKD7.00 as at 30 Sep 2018, Angang Steel Co Ltd is trading at a Price to Book Ratio of 0.8 times current book value. 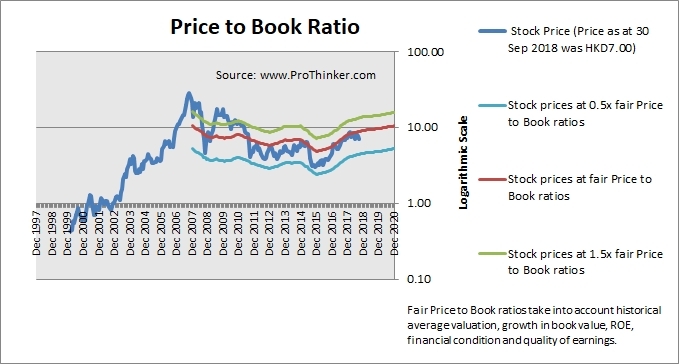 This is a 21.0% discount to current fair Price to Book Ratio of 1.0 times.